Hemp protein powder is becoming ever more popular all round Europe. With the growing production of quality hempseed, it is becoming generally available, so you can ask for it in all the good shops selling organic food or the online shops offering quality foods. The hemp protein powder is sought by active people who are aware of the new dietary paradigm. Hempseed is one of the few foods that contain all the 18 amino acids known, of which 9 are essential, needed for proper bodily functions and body regeneration. It is therefore deservedly called the superfood. 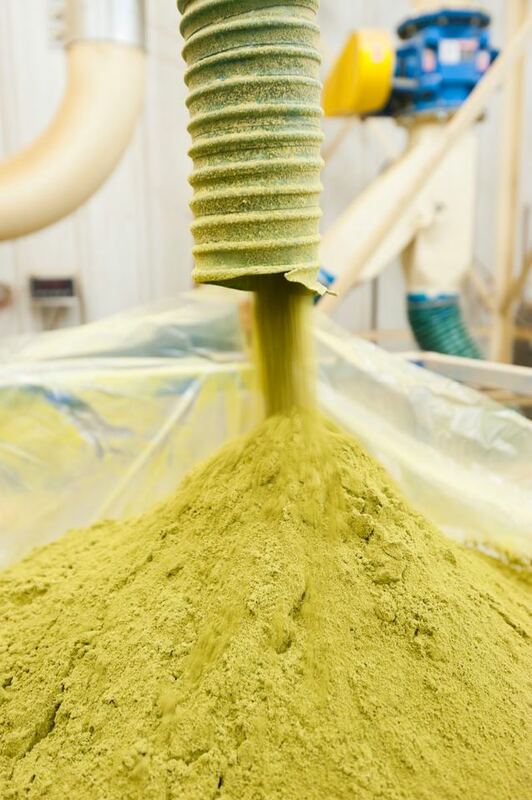 Some 65 % of hemp protein consists of edestin, a substance similar to the human protein responsible for enhancing the bodily immunity. The remaining one third of the hemp protein consists of albumin that is a major constituent of blood plasma proteins. The purely vegetable powder of a gentle nutty taste contains all the so-called essential amino acids, i.e. those that cannot be produced by the body itself and need to be supplied in the diet. It is suitable for both vegetarians and vegans, as well as for those suffering the celiac disease. Moreover, it is allergen-free. The hemp protein powder is made from the so-called seed cake that remains after the oil is cold-pressed from the hempseed. The cake is then ground and sifted to get the powder containing at least 50 % of complete protein and as much as 18 % of dietary fibre. Other hemp protein powder concentrations may contain at least 33 % of protein (41 % of dietary fibre) or 43 % of protein (29 % of dietary fibre). All the concentrations we offer may be considered a raw food suitable for raw-foodists. Moreover, an absolute novelty, hemp protein containing 99 % of protein and no dietary fibre, will shortly be introduced in the world market. The dietary fibre is known for facilitating the even release of sugar in the blood, thereby reducing hunger attacks and the overall feeling of hunger. The hemp powder is therefore an excellent aid in maintaining one’s proper body weight, as well as the proportion of fats in the body. The high dietary fibre content assists smooth excretion, which is beneficial for the whole digestive tract. Furthermore, the hemp protein supplies the body with substances having anti-inflammatory effects, as well as with numerous fundamental minerals, it therefore enhances healthy lifestyle aimed at civilisation disease prevention. HOW TO TAKE HEMP PROTEIN? Simply mix it in the shaker with water or another liquid, such as rice or oat milk, fruit or vegetable juice. Sweeten with honey, fruit sugar, the date or agave syrup. May be flavoured with cocoa, cinnamon, vanilla, etc., if you wish. Smoothies (thick shakes) are also excellent: mix hemp protein with fruit or vegetables, then add a liquid or milk to get desired thickness. 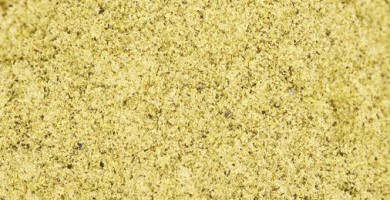 Naturally, the hemp protein may be added to yoghurts, porridges, cereals, sauces, spreads, or flour (up to 20 – 30 % of weight) used for baking or cooking. Depending on the activity, an adult should receive some 1 – 1.5 g of protein per one kilo of bodily weight daily; however, the body is capable of using only up to 20 g of protein at a time. A large portion of protein is covered by our daily diet. If the protein powder is used as a quality protein supplement, a dose of some 10 to 30 g mixed with a liquid (yoghurt, fruit, etc. ), taken once to four times a day, suffices for an adult. It is ideal in the morning as part of breakfast, or as a replacement of one daily meal, mixed with fruit or vegetables (for example when on a weight-reduction diet). If the protein powder is used at a training, sports or hard physical work, it is recommended, depending on the exertion level and the bodily weight, to take one dose (10 to 30 g) before and 1 – 2 doses immediately after the training or work. In case of endurance sports, it is better for the protein to be sweetened generously so that the body has sufficient energy. Of course, it is absolutely unsuitable to use sugar as a sweetener, whether brown or cane. Use agave syrup, fructose or glucose, fruit juices, honey, etc., instead. The popular stevia will sweeten the protein, it will not supply energy, though, it is therefore more suitable for power sports.